The mortality rate of rat bite fever in dogs in the UK is 10%, when untreated. For this reason, it is of paramount importance that you do everything you can to avoid potential hazards when out and about with your pet dog. Whilst you can ensure that the proper safety issues at home have been addressed, pay extra attention to the following dangers when you’re out exploring with your dog. If your dog is small in size you should be aware of the risks from birds of prey. In open areas, they may swoop at your little pooch, particularly if he/she is off the leash. Most birds of prey will be deterred by the presence of an adult human close by. Whilst the RSPB suggests that pets larger than a rabbit will be safe, it makes sense to protect miniature breeds. Always be mindful when walking in the open countryside. Open urban areas, such as in London, have also been affected when hawks have been used to control pigeon infestations. Another consideration, especially in springtime when the grass has grown, is keeping on top of your dog’s anti-parasite treatments (normally monthly). Choose antiparasitic treatments that eradicate ticks especially if you walk your dog through woodland and long grass. Lymes disease is becoming more prevalent in the UK in recent years and is transmitted by ticks. Also consider mites, which again are more of a problem in the summer months. Anti-parasitic medication that eradicates mites should be used, as not only will a mite infestation make your dog very restless, it will also increase the risk of an allergic reaction especially in those prone to allergies. 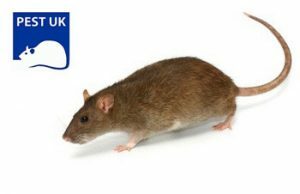 Control any rodent infestations at home by using a pest control organisation and avoid walking in areas that may attract rodents e.g. where animal food has been stored etc. A very serious disease, Leptospirosis, is transferred by rats to dogs usually by dogs picking up an item or stick that has been contaminated by rats urine. This disease can be fatal as it seriously affects the liver but it is preventable by vaccination. Ensure your dog’s vaccination programme is always kept up to date. There are also serious risks of Rat Bite Fever, Tularemia and Tapeworm. Your dog being scratched or bitten by a rat is a source of contamination, as is consuming a rat. An overpopulation of rats should always trigger alarm bells. By following a health maintenance schedule for your pooch you can be assured that there is very little risk to be concerned about. Your schedule should include the preventative advice mentioned in this article and, with the addition of a little common sense, you will be able to take your dog out to the countryside with no worries. Enjoy the outdoors with your canine friend.